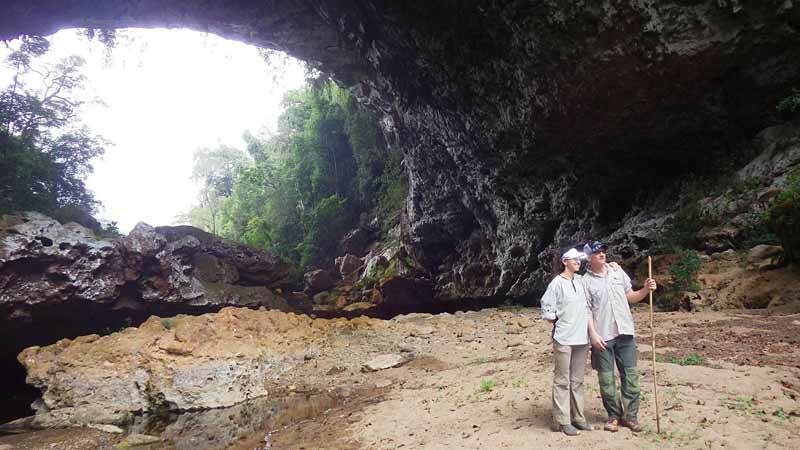 American Adventure Sport Director Doug and Julia at the Natural Arch in the Chiquibul Forest. 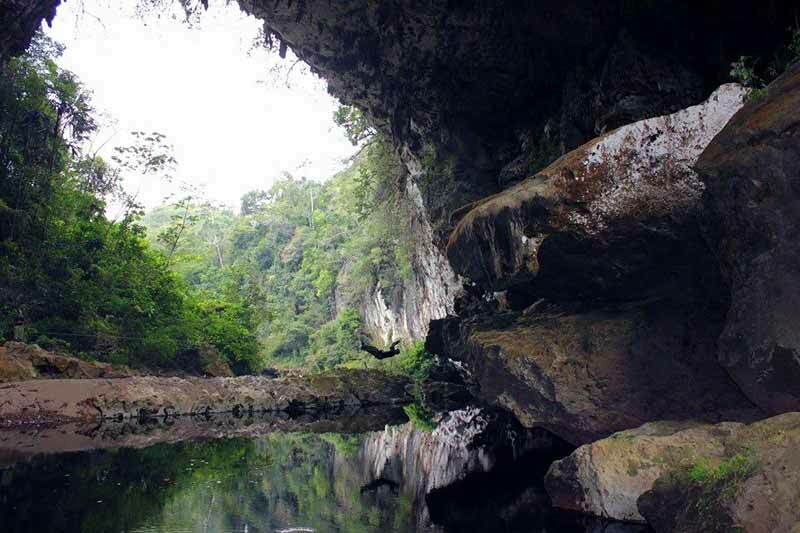 Their aim: locating the Maya Mountain Adventure Challenge Race route for 2016!!! To learn more about this race go to: www.mayamountainadventurechallenge. 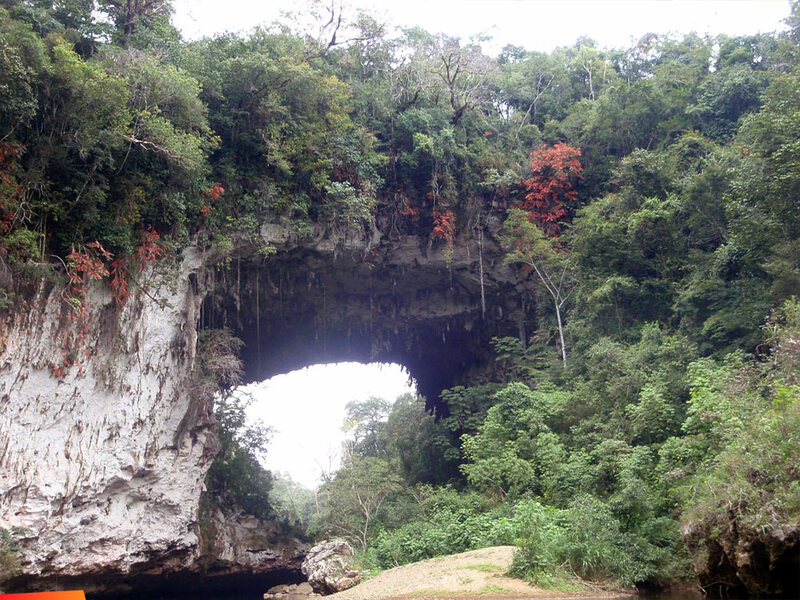 Aerial view of the famous Natural Arch located in the Chiquibul Forest. 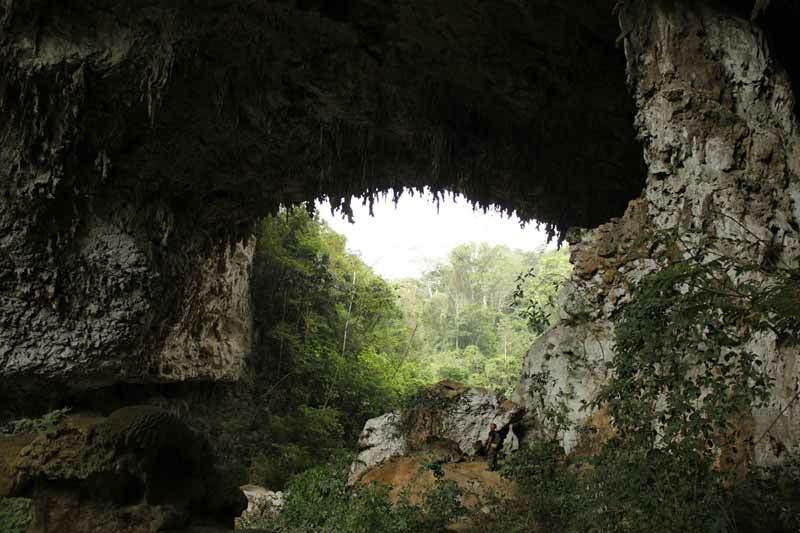 Hiking distance from nearest accessible camp, Grano de Oro, is 4-5 hours. The track from north to south Chiquibul passes above the arch. 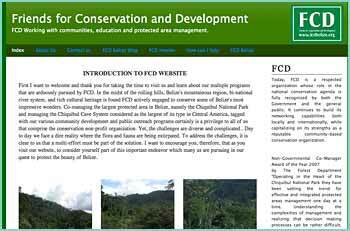 FCD’s tractor, the Jumping Viper commonly passes there inserting or extracting park rangers into these remote areas. 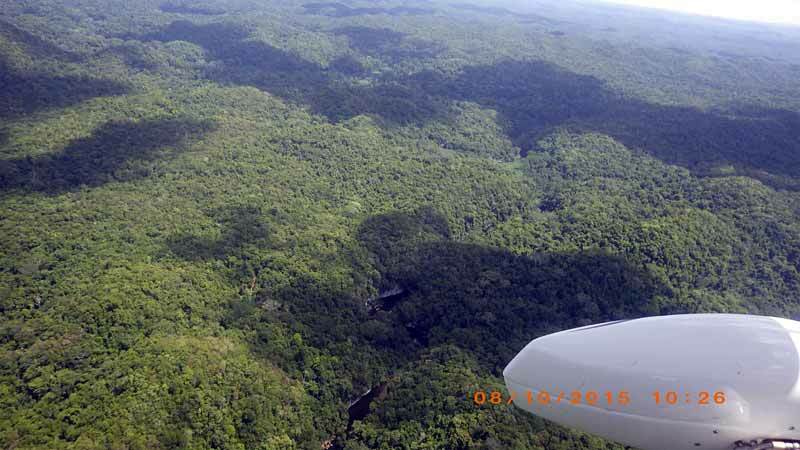 Aerial view of Natural Arc in Chiquibul Forest Reserve.